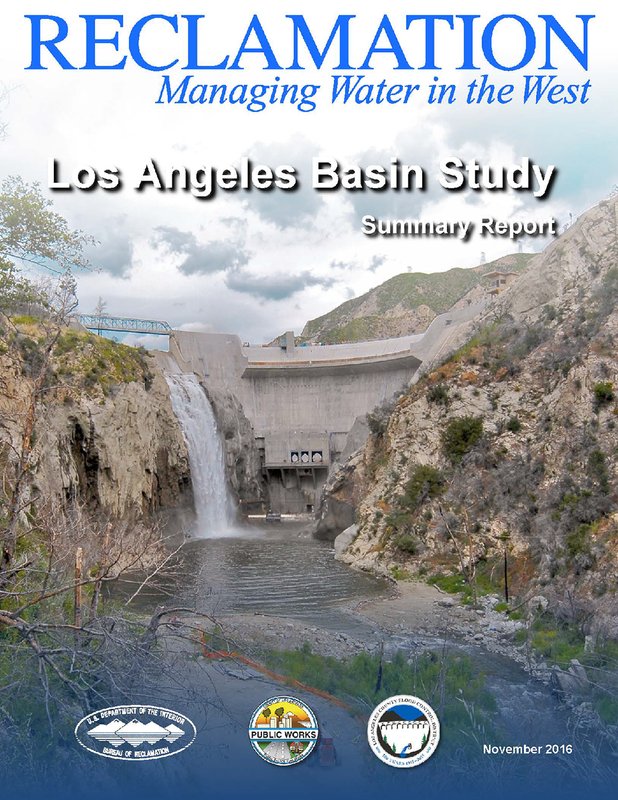 Los Angeles Basin StudyWASHINGTON - Bureau of Reclamation Commissioner Estevan López has released the Los Angeles Basin Study that looks at the changing demographics, climate change and competing interests for available water supplies and identifies options to meet the water needs of the Los Angeles area into the future. The study found that there is a potential water supply deficit for the region of approximately 160,000 acre-feet-per year by 2035 and 440,000 acre-feet-per-year or 25-percent less water than the region is projected to need in 2095. "Reclamation and our partners in the Los Angeles area are working to assure a sustainable water supply now and into the future," Commissioner López said. "The basin study provides our partners the information that they need to further study the various alternatives for future water supplies while reducing their reliance on the state water project and the Colorado River Aqueduct." The Los Angeles Basin covers approximately 2,040 square miles and features a population of 9.9 million people that is projected to increase to more than 11 million through the next several decades. Nearly 92 percent of Los Angeles County's population resides within the basin, more than one-fourth of the State of California's 38.8 million residents. This basin study was conducted as part of Reclamation's WaterSMART Program and was cost-shared between Reclamation, Los Angeles County Flood Control District and 20 local project partners. It is available on Reclamation's Basin Study Program website at http://www.usbr.gov/watersmart/bsp/. WaterSMART is the Department of the Interior's sustainable water initiative that uses the best available science to improve water conservation and help water resource managers identify strategies to narrow the gap between supply and demand. For more information on the WaterSMART program, visit www.usbr.gov/WaterSMART.